For over a century, Stanley Black & Decker has built a legacy by producing some of the most well-known hand tools and storage products in the world. It is this rich history of innovation that made Stanley a trusted brand across industries. 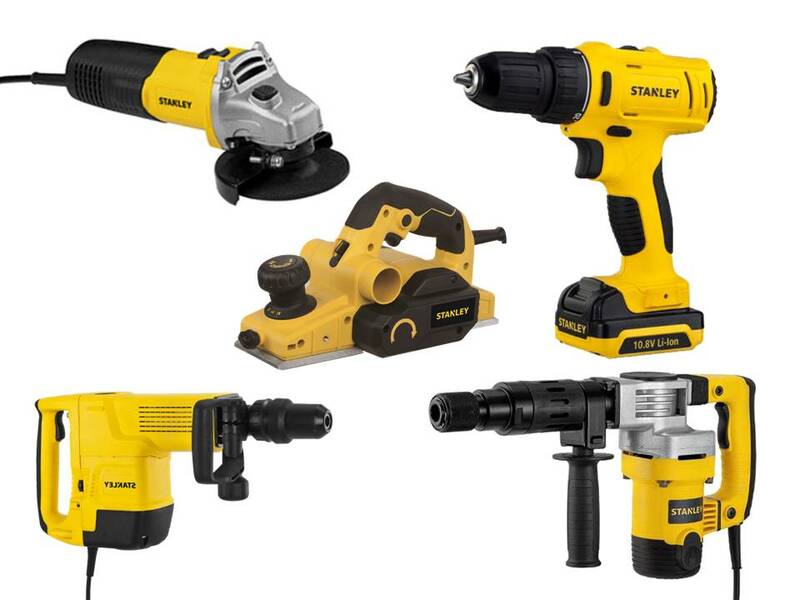 As it launches a new line of power tools, Stanley—a world-leading provider of tools and storage, commercial electronic security and engineered fastening systems—traces back to its ergonomically designed yellow power tools which were first launched in 2014. These tools target tradesman users, exceeding their expectations through quality that outstands performance. According to Anthony Allarey, Commercial Director of Black & Decker Asia Pacific Pte. Ltd., the company conducted extensive research to develop the new power tools that the world knows today. “Each Stanley power tool was designed to ensure users get durable products that last and perform. Aside from durability and performance, our tools have great ergonomic designs that help users be comfortable while doing their job,” Allarey said. Drilling is probably one of the most frequent construction applications. Whether drilling holes or screw driving, every tradesman requires durable and power tools. With that in mind, Stanley introduces the new addition to its product roster with the SDH600 and SDH700 drill ranges. Both models are best-in-class in rotary hammer drills that have high impact rates for most effective work output. These models are lightweight and have compact ergonomic designs to bring best control during application. Cordless lithium-ion tools are the future of the power tool industry, which is why Stanley released its top-of-the-line SCH12S2—a 10.8 volt hammer drill driver that boasts a powerful motor for longer durability and faster drilling speed. This drill is capable of powerful torque capacity for drilling and screw driving applications. It also comes with LED light for easy use in dark places. Metal working, whether grinding or cutting, is one of the basic applications in construction. To complement the need for more innovative metal working solutions, Stanely introduced a wide selection of angle grinders that help tradesmen get the job done with precision and improved output. For example, its STGS5100 has a dust seal main bearing and resin coated armature that provide maximum motor life and durability. It has an optimized vent for excellent motor cooling. It’s a bonus that its compact size and slim housing bring added convenience to users. “Stanley’s angle grinders have proven quality to perform grinding applications when and where the tradesman needs it,” Allarey noted. Stanley’s range of concrete power tools are known for their durability and best-in-class performance in concrete drilling, chipping and demolition. Another addition to this roster is the STHM5KH, a five-kilogram 1010 watt hex hammer that delivers outstanding chipping and chiseling performance. This product features an anti-vibration system that offers comfort to the users. In addition, Stanley’s new STHM10K boasts of a powerful 1600-watt motor for light to heavy duty demolition, chipping and chiseling requirements. As with all of the company’s power tools, this new product has an ergonomic design to provide users comfort during long-duration usage. The full Stanley line boasts of innovative design with great functionality, providing total solution for all tradesman work. In spite of Stanley’s top-class quality, the products it carry give great value to tradesman.